If you are going to Hag Dyke on 16th January, please remind yourself of the important information below. 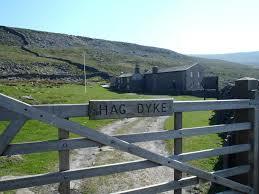 We will be walking up to Hag Dyke. Therefore, you need to be wearing outdoor clothing, have waterproofs and must be wearing walking boots that provide ankle support (“walking trainers” are not suitable for Hag Dyke). Footwear will be inspected in the car park, and any Scouts who do not have walking boots with ankle support will not be able to go to Hag Dyke. Scouts need to carry all their personal equipment up to Hag Dyke, therefore this should be in a rucksack with nothing tied on the outside. Make sure you have enough waterproof and warm clothing. The weather on the hills can be very different to the weather in Ilkley, so be prepared and check out the kit list on the “Useful Information” page of the website. Any questions, please ask a Leader. We hope that everyone going has an enjoyable weekend.